Our medical team strives to provide high-quality medical care that is fast, convenient, and dependable. We are staffed with Board Certified Doctors who are able to accurately treat and care for all of your medical needs. We believe it is a privilege to serve the Evergreen Park community and surrounding communities of: Oak Lawn, Beverly, Mt. Greenwood, Merrionette Park, and Alsip. We are also located about 25 minutes from downtown Chicago, off of 90/94 (95th Street Exit). For the convenience of our community, Evergreen Care Center is open 7 days a week with no appointment necessary. We pride ourselves on being a family owned and operated immediate care facility. Dr. Thomas Joseph opened Evergreen Care Center in 2003 after seeing the need for a walk-in immediate care clinic in the Evergreen Park area. Since Dr. Joseph has both a Orthopaedic and Family Practice background he is able to treat a wide variety of issues in house without forwarding patients to the Emergency Room. Because of his background and expertise, Evergreen Care Center quickly became a “go-to” clinic in the area. Dr. Joseph also sees patients at our sister practice, Park Primary Care, which is a primary care office conveniently located in the same building. 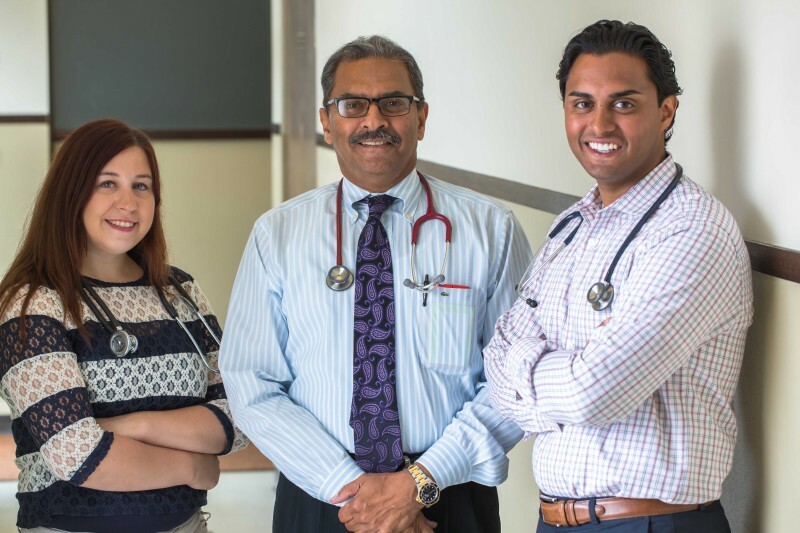 In 2012 Dr. Joseph’s son, Dr. George Thomas, also began working at both facilities and was recently named Evergreen Park’s Medical Director for the Evergreen Park Village. Both Dr. Joseph and Dr. Thomas pride themselves on understanding the feelings, perceptions, and worries of every patient and also treating their patients as they would like to be treated.